Provenance: Private Collection, Kansas City, Missouri (by descent). Exhibited: Nashville, Indiana, Brown County Art Gallery, "Sixth Annual Exhibition," September, 1932. 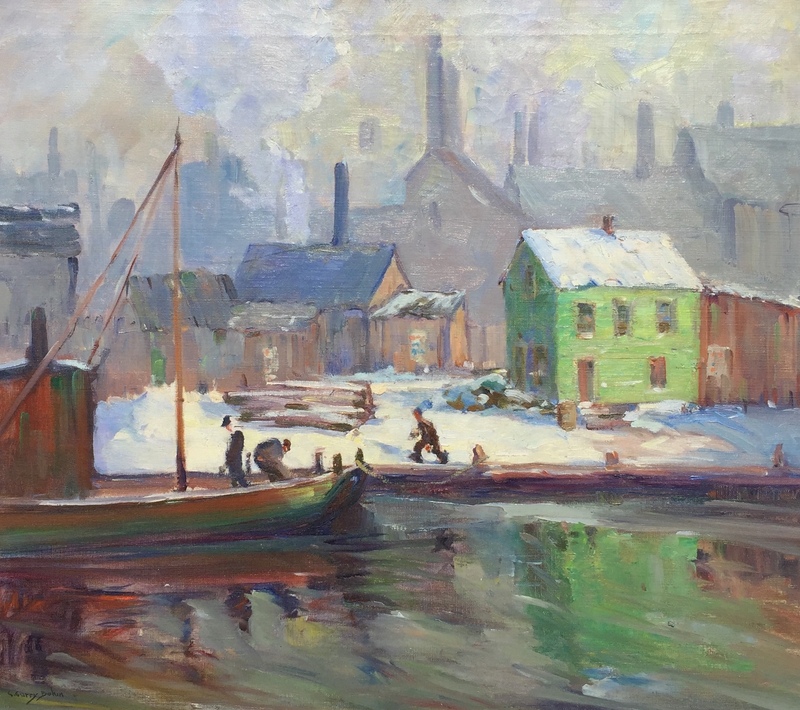 This painting was also included in the 1932 Palette & Chisel Club exhibition in Chicago, as well as in the 1933 Works of Indiana Art Exhibition at the John Herron Art Institute in Indianapolis, Indiana. Literature: Illustrated in The Indianapolis Star, September 18, 1932, p. 4, in an article on the annual exhibition at the Brown County Art Gallery. Note: A rare Chicago scene, and one of the artist's most-exhibited paintings This important work is slated for the forthcoming Bohm museum exhibition and book.